Sunday 14 July Stratton Audley Walk for everyone else! 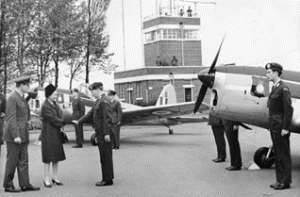 Janie talks about the experiences of her parents and their siblings in the Second World War, including of the Portsmouth Blitz, Home Guard in Bristol, Dunkirk, Navy in the Far East, POWs in Germany and on the Burma railway, a para at Arnhem, a Baby’s experience of evacuation and the Russian convoy. 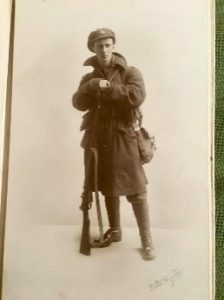 With photographs and artefacts. Further artefacts supplied by Gary Skinner from Hethe. The cost is £10.00 including a supper of chilli, jacket potato and pudding. A vegan option will be available. Please Contact us to let us know you will be coming and to book your seat. Payment will be taken at the event. 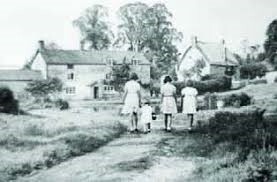 Come along to see the village history display about our historic buildings and village characters including Flora Thompson and the Addington family as well as other less well-known personalities from the past. Pick up a self-guided circular walk pamphlet and enjoy a stroll around the village, picking out the points of interest and perhaps end up at the historic Butchers Arms for refreshments. Although it only had two classrooms and a hall, Finmere School was considered a landmark building when it was built in 1959. It was the first to utilize folding partitions to divide and open space, with the classroom itself divided into areas for different learning activities. Teaching and learning had seen considerable changes since pre war school buildings were constructed: the early 1960s had seen increased emphasis on project learning, creativity, centers of interest and of arrangements in the environment that allowed children to work on their own or in small groups. The design of Finmere was based on thinking aimed at supporting this more child-centred approach to teaching and learning. Tours of the school with an opportunity to meet current staff and pupils. Refreshments provided by Friends of Finmere School (FOFSA) and an exhibition of old photographs and memories. The School will be open for visitors and tours throughout the day and visitors can enjoy all the attractions of the fete including refreshments, stalls, crafts and a display of maypole dancing by children. The Shelswell History Festival will be supporting this event, but all enquiries should be directed to the school. Evidence of patchwork has been found throughout history. The earliest examples have been located in Egyptian tombs and also in China about 5000 years ago. During the early Middle Ages, layers of quilted fabric were used in the construction of armour, keeping the soldiers both warm and protected. Patchwork quilts began to appear in households of the 11th to 13th centuries, and the tradition of making quilts in this way was taken to America by the Pilgrims. Come and learn the basics of patchwork. 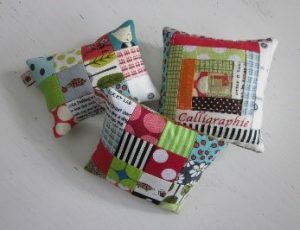 Aimed at beginners, you will learn all the necessary skills, and by the end of the workshop will have produced a patchwork pin cushion. All materials provided. £10 per person. Bring your own packed lunch. Places limited – please Contact Us and book your place. Talk by Barry Smith, Head Gardener from Stowe (National Trust). Barry has risen from a local boy struggling at school to Head Gardener at one of the most prestigious gardens in the country. 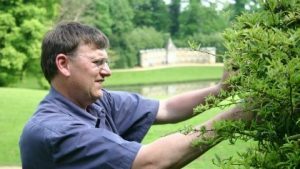 Having worked at Stowe for 38 years, Barry has seen the huge transformation that the gardens have undergone since they were gifted to the National Trust in 1989. Over the last 30 years, the Trust has restored gardens, conserved iconic grade I listed structures, returned statuary, repaired lakes and brought conservation to the forefront of the site. To mark the thirtieth anniversary of this incredible restoration, Barry undertook in March to walk the 125 miles from the Palladian Bridge at Stowe to the one at Prior Park to raise money for Stowe’s ongoing restoration. Come and find out more about the gardens and hear some of his many stories about Stowe. £5 per person, to include a glass of wine. Please Contact Us and book your place. This former WW2 RAF bomber station has been carefully refurbished and restored to provide an authentic period setting for specialists, vehicle owners, enthusiasts and visitors to meet, share their passions and immerse themselves in the classic age of motoring. Join this tour of the Technical Site, learn about its historical background, and meet a number of the specialist businesses based here. There will be limited places at this event, therefore you are advised to Contact us early to book your place. Payment must be made before the event. An address for payment by cheque (payable to Shelswell History Festival) is shown here, otherwise let us know (through Contact Us) if you wish to pay on-line and we will send you our account details. The name is derived from the French term crochet, meaning ‘small hook’. Crochet differs from knitting in that each stitch in crochet is completed before the next one is begun, while knitting keeps a large number of stitches open at a time, (unless you are doing fancy forms of crochet such as Tunisian crochet or broomstick lace, when you keep multiple crochet stitches open). The first known published instructions for crochet in its present sense appeared in the Dutch magazine Penélopé in 1823. The earliest dated English reference to garments made of cloth produced by looping yarn with a hook—shepherd’s knitting—is in The Memoirs of a Highland Lady by Elizabeth Grant (1797–1830). The journal entry, itself, is dated 1812. Come and learn the basics of the skills for yourself. 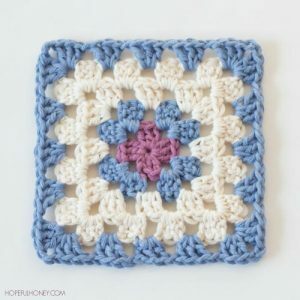 Aimed at beginners, you will complete at least one granny square by the end of the workshop! All materials provided. £15 per person. Bring your own packed lunch. Places limited – please Contact Us and book your place. Stratton Audley Historical Society will be conducting a guided tour of the village for the benefit of villagers. This will include information about the foundations of the Castle and Moat (a Scheduled Ancient Monument), the possible site of a mediaeval village, the Manor House and historic buildings. 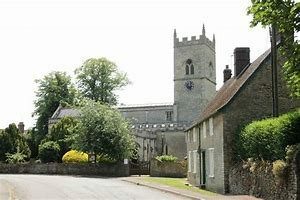 It is anticipated that the walk will take about 1-hour, ending up at the Church for afternoon tea, with a display of Church and village history. Come and learn more about this lovely village. Sunday 14th July, 2.00 pm – for anyone who is interested! Please use the Contact Form to register your interest in any of these events.